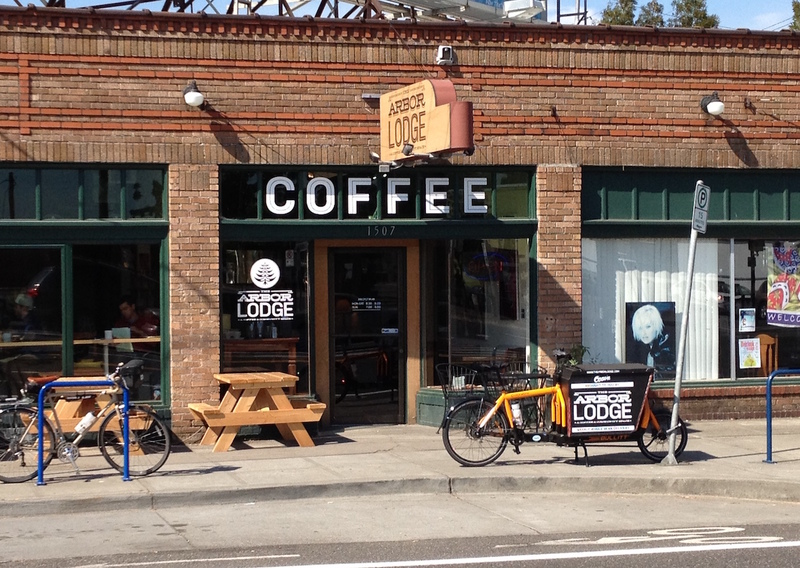 Portland, Ore.-based wholesale roaster Tanager Coffee Roasters has just added a whole new wing, so to speak, taking ownership of neighborhood favorite café The Arbor Lodge, in North Portland. 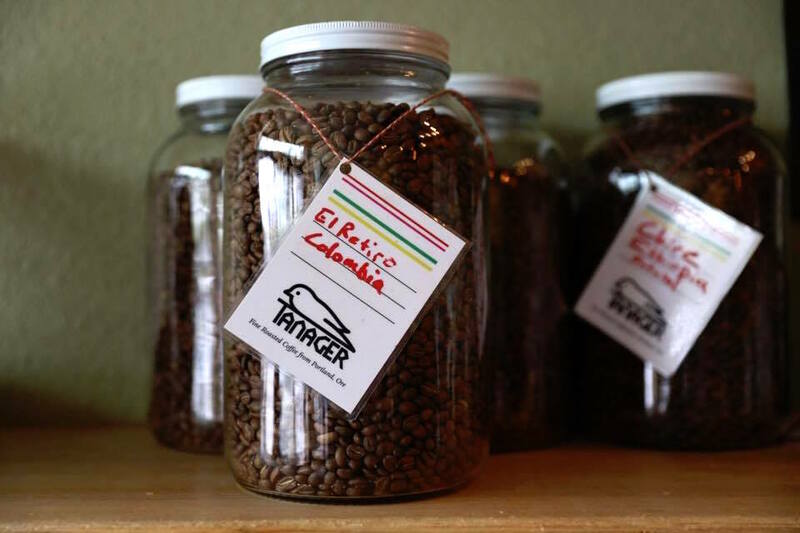 Recognizing the shop’s mission and value in being a beloved and welcoming “third place” for the local community, Tanager founder and roaster C.J. Speelman, who has worked at the café as a barista since it opened in 2011, plans to maintain the shop’s brand, spirit and mission. 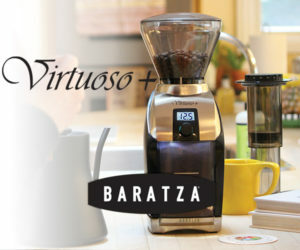 Tanager Coffee jars. Photo by Benjamin D’Emden. 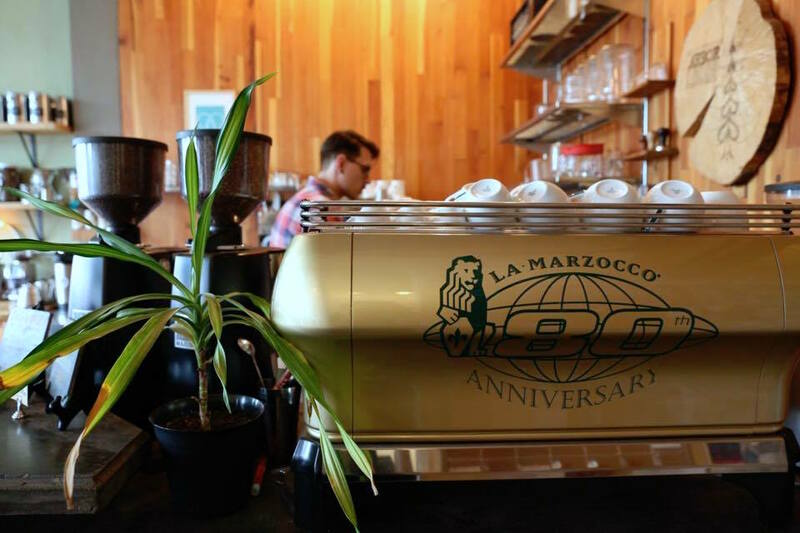 However, some small changes are on the way, mainly to incorporate greater visibility for the roasting company’s brand alongside that of the community’s namesake coffeehouse. 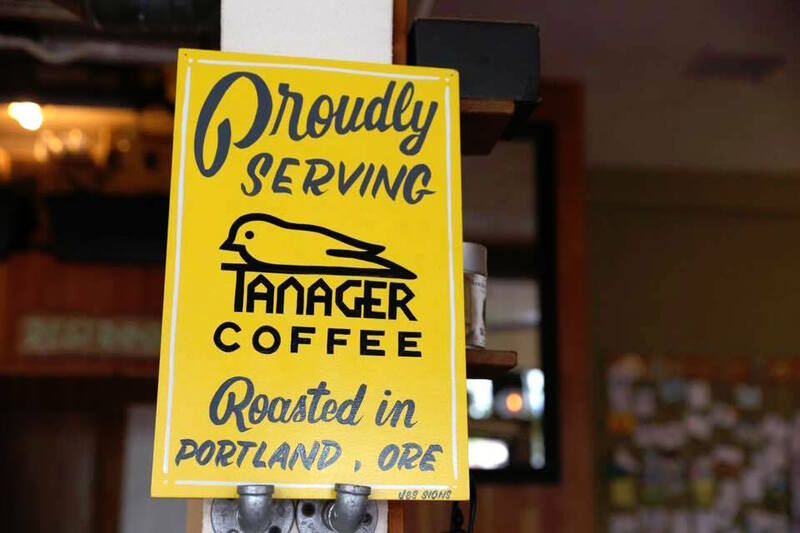 Speelman is sitting down with branding specialists to figure how to accentuate awareness of Tanager within the shop’s existing logo and branding without fundamentally altering the design, and in the meantime will add some signage inside the café and start selling Tanager-branded merchandise alongside Arbor Lodge mugs and t-shirts. Keeping the spirit of things consistent is particularly important for a neighborhood hangout like The Arbor Lodge, given the city’s recently intensifying demographic shifts and increasing residential density. The bunch of neighborhoods that comprise the area known as North Portland are experiencing particularly accelerated change, and while the neighborhood of Arbor Lodge maintains a generally quiet, residential character, it too is metamorphosing amid the exodus of one generation and the influx of another, with new houses and apartment buildings continuously under construction. “Some folks have moved out and others have moved in. The shop has been able to welcome all these folks and serve them well as the neighborhood transitions,” said Speelman, noting that larger changes will likely happen as the density spikes with multiple apartment buildings scheduled to be built in the coming years. Tanager, meanwhile, will continue its efforts not only to do right by the people consuming its products, but also the people whose lives are dedicated to the cultivation of the raw material Speelman roasts in the communal 12-kilo Probat at the Aspect Coffee Collective co-roasting facility. The last time DCN checked in with Tanager, the company had just launched its Las Cruces Project, a collaborative effort organized by Speelman with the goal of reconstructing an ailing soccer field in El Salvador. Tanager roasted and sold the four-farm Las Cruces blend to raise money for the effort, which Speelman was happy to report was a success, amounting to over $25,000. 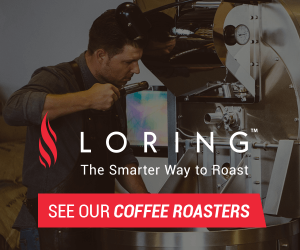 “There are contractors working with [Roasters Guild Executive Council Chair] Emilio [Lopez Diaz] from Cuatro M, they’re working to design the field right now and we’ll do a groundbreaking hopefully in the next couple months,” said Speelman. They hope to have the field fully rebuilt by the end of this year. 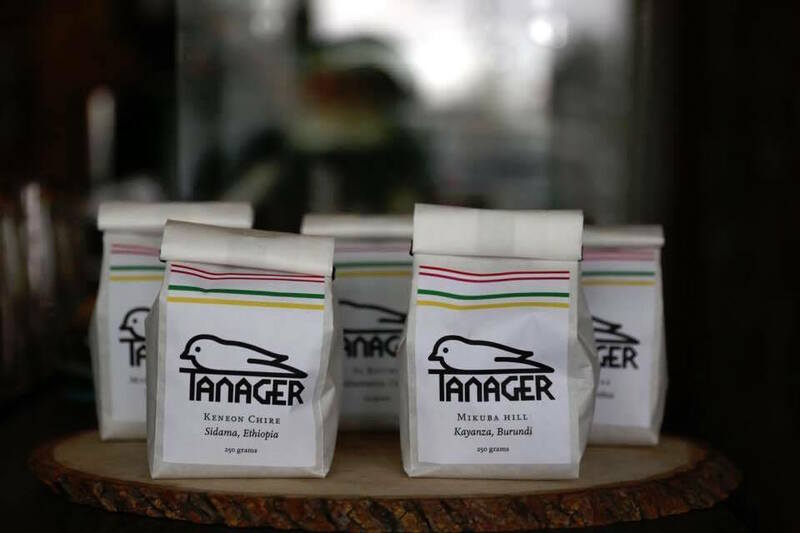 Tanager Coffee bags. Photo by Benjamin D’Emden. Speelman intends to be there for both the groundbreaking and hopefully the ribbon-cutting, as he makes an effort to travel to origin once or twice annually to maintain solid green coffee sourcing relationships directly with farmers in El Salvador, Guatemala, Colombia and Nicaragua, whose crops, depending on the season, make up an average of 75 percent of offerings Tanager roasts and sells. For the remainder Tanager turns to companies such as La Palma Y El Tucan and Red Fox Coffee Merchants, the latter particularly for African coffees though Speelman said he hopes to travel to Ethiopia and Burundi soon, to forge direct sourcing relationships there. The Arbor Lodge is located at 1507 N Rosa Parks Way, in Portland, Ore.